Professor Fortey presented to a full house nearing 500 people keen to hear about the organisms from the past that continue to survive today. In this presentation, Professor Richard Fortey addresses the commonly held view that evolution moves ever onwards and upwards. Many of these organisms have come through global crises that reorganised the entire biosphere through mass extinction: several of them have outlived both trilobites and dinosaurs. Richard has spent several years visiting these messengers from the past in their natural habitats, to find out if there was some common factor in their longevity, or whether they were simply lucky. The journey took him to Yellowstone Park, remote mountains in China – and, not surprisingly, several places in Australia. 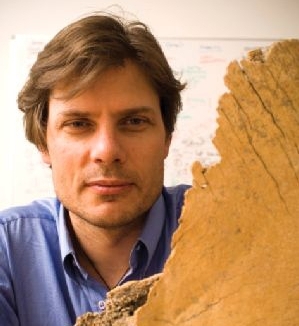 Richard also caught up with Ewart Shaw on Radio Adelaide, and his “not so tasty trilobite” interview is online. This presentation was brought to you by Professor Alan Cooper and the Australian Centre for Ancient DNA. This entry was posted in ACAD, Podcast and tagged Australian Centre for Ancient DNA, Richard Fortey. Bookmark the permalink.